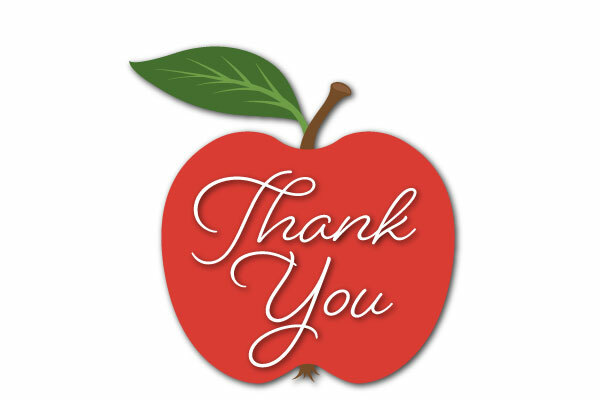 Teachers work hard all year long, and they should feel appreciated all year long, too! Below is a list of all the freebies and discounts different businesses offer teachers all year long. Know of another freebie that should be added to the list? Let us know by sending an email to csmith@gcefcu.org. The Container Store – Sign up for their “Organized Teacher” program to receive special discounts throughout the year to help organize your classroom. Michaels – 15% off your entire purchase by showing school ID. Jo-Ann Fabric & Craft Store – 15% off your entire purchase. Barnes & Noble – 20% off your purchase. Apple – Up to $200 off a new Mac, and up to $30 off a new iPad. Ann Taylor LOFT – Teachers get 15% off all full-priced items. Banana Republic – Teachers get 15% off all full-priced items purchased in store. Champion – Current and retired teachers get 10% off. Costco – Teachers save $60 when they purchase a Costco membership. Hewlett Packard – Teachers get 20% off HP Academy. J. Crew – 15% off your entire purchase. TOMS – 10% off your entire purchase. Half Price Books – 10% off your entire purchase. Lakeshore Learning – 15% off when you join their Teacher’s Club. GMC Vehicles – The GM Educator Discount gives current employees of a public school, private school, college, or university special pricing below MSRP on the purchase or lease of eligible new Chevrolet, Buick, or GMC vehicles. Microsoft 365 – Educators can get Microsoft Office 365 for free by using a valid school email address to fill out an online form. Teachers can also get 10% off Windows devices when shopping online. Dress Barn – 15% off your entire purchase with school ID.